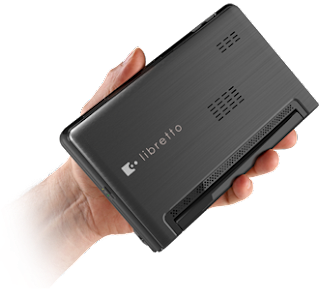 Toshiba has presented an interesting Libretto W100 - laptops, which is part of a campaign to advertise the company's Libretto brand's 25- year journey . 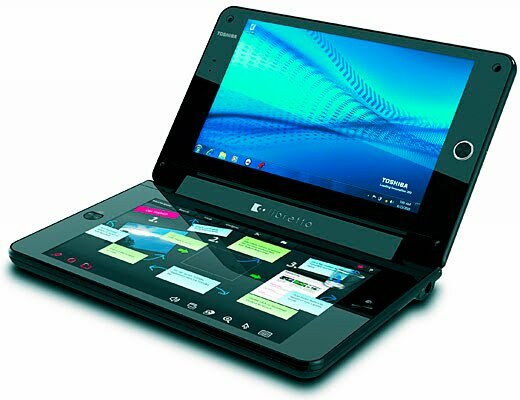 It is a compact laptop , with two seven inch touch screen with a resolution of 1024x600 . Laptops lacking a physical keyboard , so the device is merely guiding the touch screens, the virtual keyboard. Libretto black W100 's inside can be found in dual-core 1.2 GHz clock speed functional U5400 Pentium processor, two gigabytes of DDR3 RAM , 62 GB SSD drive and eight cell battery . 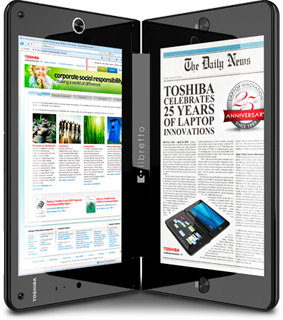 The operating system Windows 7 is Toshiba Libretto W100 reaches a limited number on the market by the end of the summer , but its pricing has not yet been informed.